Sign-Up to our list to stay in touch and to learn when we will be launching our SMARTBUNCH Light products! SMARTBUNCH Light: The world's first modular light bulb, employs our innovative Touch & Play™ technology and allows you to change the shape and size of your lighting as you see fit. SMARTBUNCH Light is the ultimate user-centred system. You can use it as a beautiful and bright chandelier in your dining room, a desk light for reading, as a couple of candle lights for your romantic dinner or just split it into multiple lighting pieces at any point. 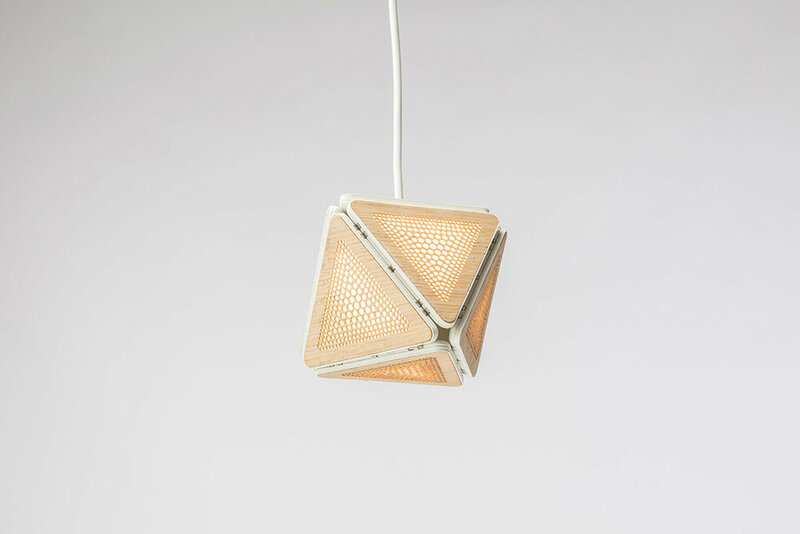 SMARTBUNCH Light is the next generation light, a cross between a light bulb and a light fitting combining both functionality and beauty in a single product. Light that looks equally beautiful when switched off. With SMARTBUNCH system you are in full control. Change the shape and luminosity at any point and choose from a variety of finishes including mirror stainless steel, elegant copper, slick aluminium and even wood. 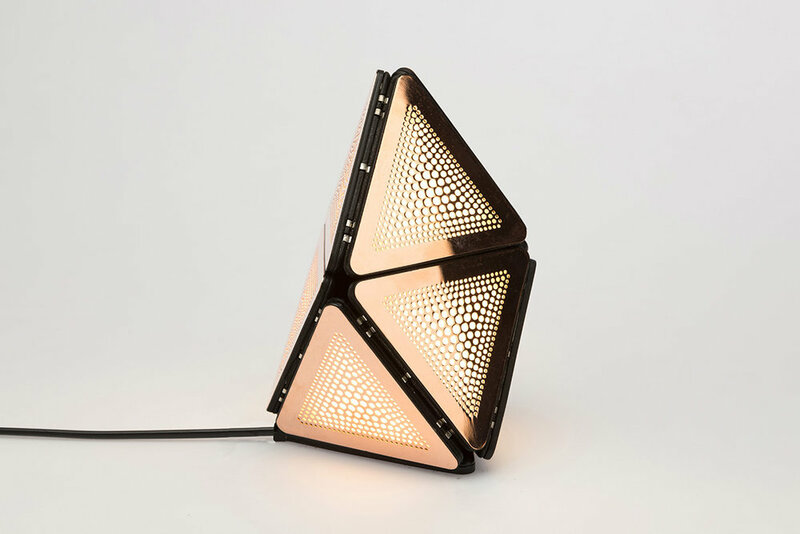 We have developed three power triangles to cater for all possible needs, from easy to use Edison Screw fixing replacing ordinary bulbs, to slick minimal pendant and desk power modules. 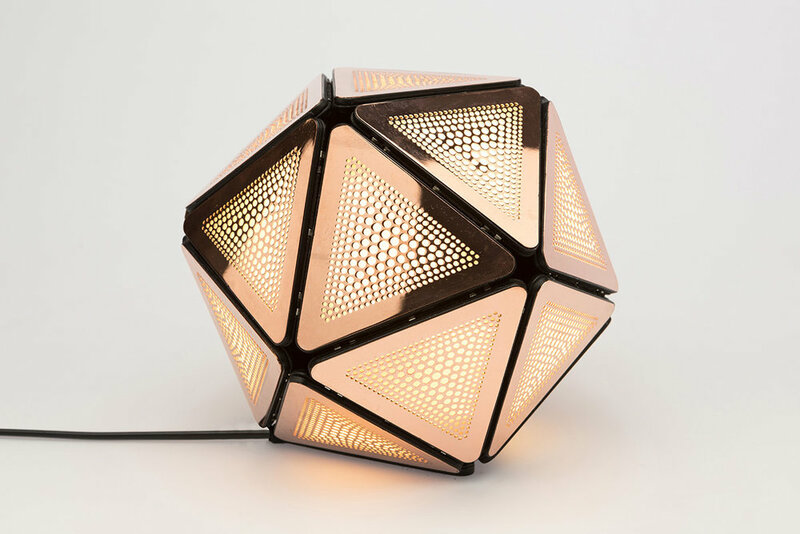 Control the light with the number of Light triangles in the system: 3 Light triangles will replace a bedside lamp, 7 an average bulb, 9 will replace living room light, and 19 will really light up the space. Rechargeable Battery triangle is there to give you extra flexibility, as lighting in your home will become mobile and a great backup in case of blackout. We are currently developing Camera and Speaker triangles giving your lighting system an unprecedented flexibility and transforming your ordinary light bulb into an ultimate smart home hub. We are also working on an array of other modules like Artificial Assistant and solar cell charger and we aim to keep bringing new uses for your system. SMARTBUNCH is a new London based tech company set to bring individuality, flexibility and fun to everyday technology in our lives. We are doing this by introducing a unique, versatile, personalised and playful light bulb. The idea for SMARTBUNCH started with one of the founders - Andreja, a professional architect & designer. He realised that one of the most important inventions of all time, a humble light bulb, really did not evolve in design since it was first invented more than a century ago. Questioning this realisation, he came up with a very new concept for light bulbs, by applying the 21st century design, functionality and integration with smart technology. In the future, our passionate team hopes to grow our core beliefs creating one of the most versatile products in homes and workplaces. We are a team of young ambitious professionals with various and complementary backgrounds in design, technology, management and marketing. We strongly believe our product will make a real difference in the way people use and perceive lighting and connected 'smart' technologies. You could help us greatly by supporting us on social media to help spread the word!